Here the second kit for my dio. This is the Doda II from the HK factory's K-Teams. This is my last w.i.p. for this kit. I want increase the weapons set of my EFREET NACHT, so I decided to to recast some parts from others kits. Here my complete step by step. 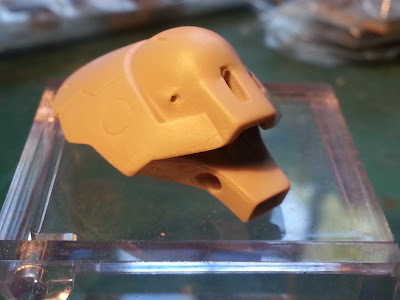 The Gundam Dipendente's contest start yesterday, so now I'm free to work on my new project.